Welcome back to my ongoing series on the elements of design. Today, I'm continuing to look at color - focusing on Color Temperature and Undertones. 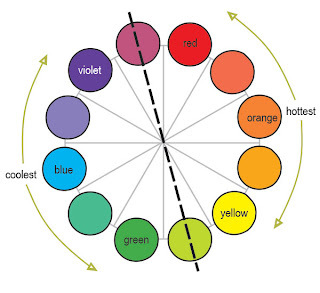 Sunny yellows, red hot, cool blue - every color has an associated Color Temperature. Working around the color wheel, those in the red to yellow range are warm. While the blues, greens and purples are generally regarded as cool colors. Seems simple enough, right? Well, it gets a little more complicated than that, unfortunately. The Color Temperatures on the Cusps Fluctuate. That's right - red-violet and yellow-green are sometimes warm and sometimes cool. Because they're stuck halfway between the warm and cool colors, they don't really know which family they belong to and shift their apparent color temperature dramatically based upon who they're paired up with. Just to be ornery, they'll tend to take the opposite Color Temperature from the majority. Kind of like reverse camouflage. So, if they're paired with warm colors - lots of reds, oranges and yellows, they'll seem cool. Snuggled in with cool blues, greens and violets, they suddenly turn up warm. 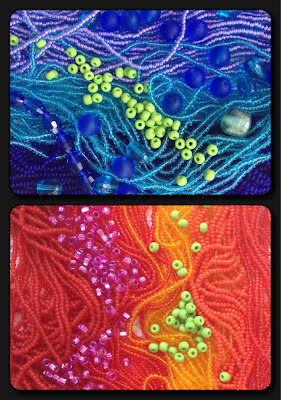 Check out the lime green beads in my samples at right - they're the same in both photographs. Then there are Undertones. Here's where we get into cool and warm hues of the same color family. Looking at the swatches, which red would you describe as warm? cool? 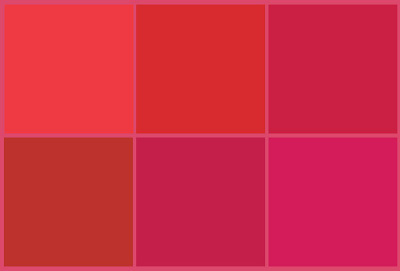 Varying the undertones can create Temperature differences even within the same color family, such as the red sampler above. Brick Red is quite warm, with strong orange undertones, while Alizarin Crimson is a cool red with strong blue undertones. This is one way to increase interest in monochromatic compositions. Undertones can also explain why different hues of the same color simply don't seem to go together. 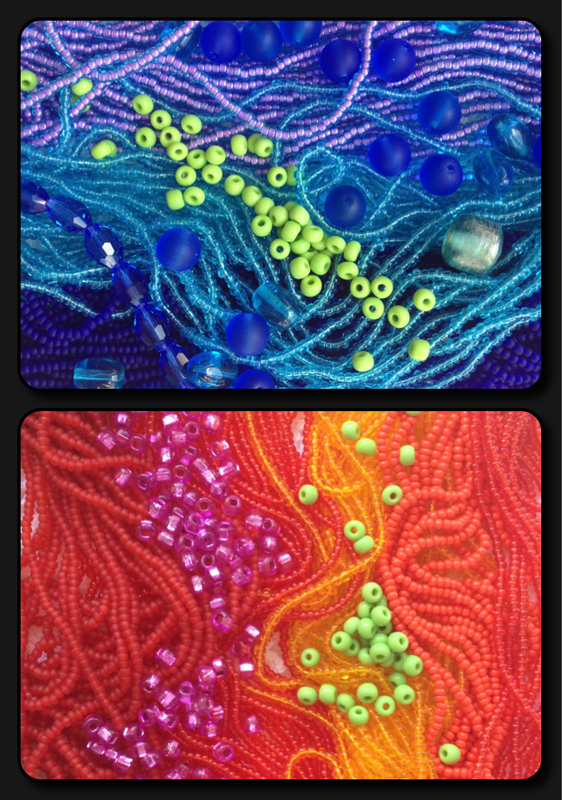 This week, take a look at some of your bead stash and try to identify the undertones of the various hues - do they tend to be warm, cool or evenly mixed?